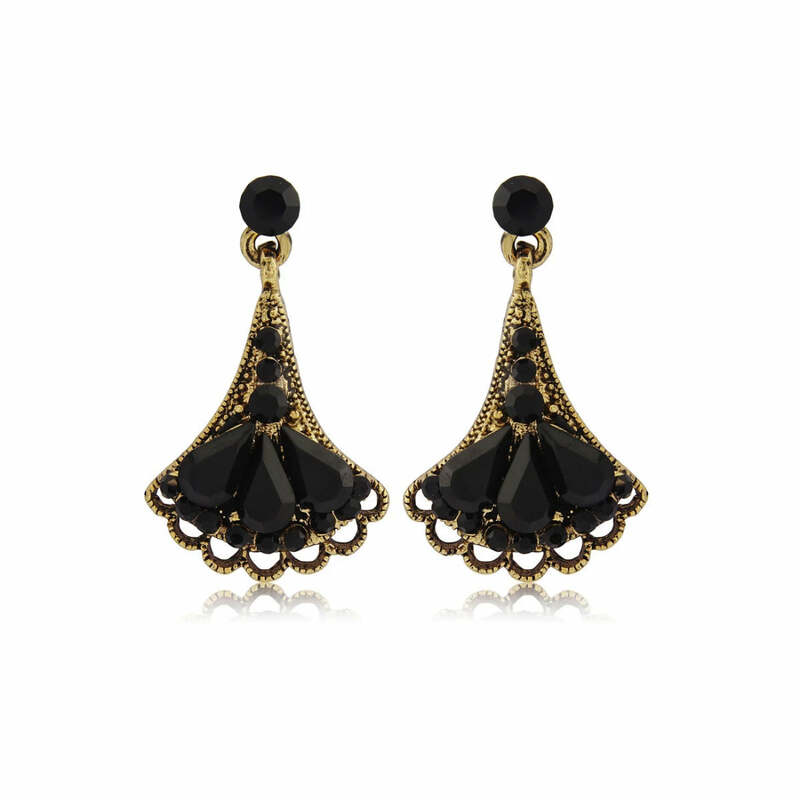 The essence of vintage luxe, this divine pair captures the drama of black and gold Art Deco drop earrings. True to their name, our Decadence of Deco Earrings add a touch of luxurious Art Deco glamour to every occasion. Featuring an antique gold fan encrusted with the deepest jet Austrian crystals, they are simply divine if you adore jewellery with heirloom flair. A versatile length that looks fabulous from daytime to party time, these drop earrings add a hint of modern-vintage style that is effortlessly chic. The perfect pair to play up Gatsby glamour with refined elegance or to add a subtle hint of antique allure, these treasures will take you to the races to a black tie ball. If you're a bride going for a 1920s gold and jet wedding theme, Decadence of Deco Earrings are sure to enhance your style and make an exquisite bridesmaid gift for your best girls to wear on your special day and beyond.